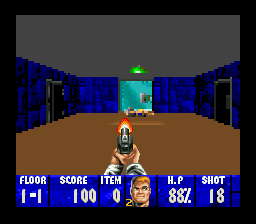 OverviewConsidered by many to be the progenitor of the first-person shooter genre, Wolfenstein 3D is a 1992 first-person action game that pits the player, as Allied spy William "B.J." Blazkowicz, against the might of Nazi Germany. Wolfenstein 3D is a game loved by many, and often considered to be the grandfather of the FPS genre. The game was originally released in 1992 for the MS-DOS, and it has been ported to multiple other systems. It's interesting to note, that the SNES version has a completely different storyline than the original. And of course, because Nintendo is a family friendly company, the game has been censored too. 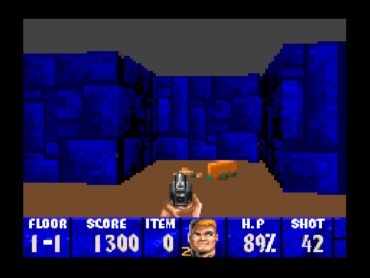 id Software have developed a 3D engine that was used to create Wolfenstein 3D. 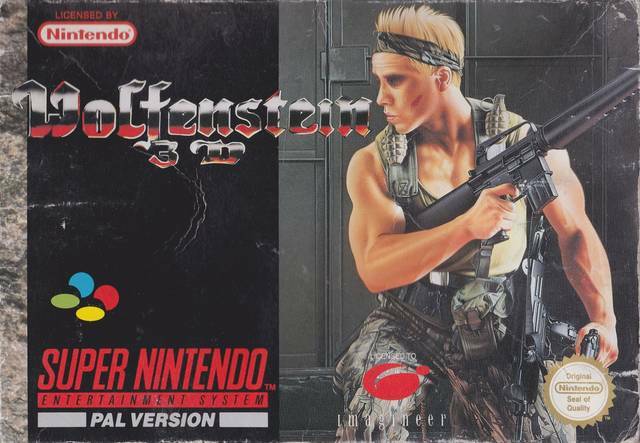 The game was inspired by the older Castle Wolfenstein and Beyond Castle Wolfenstein, wich were top-down view stealth games (kinda like the first Metal Gear games). As mentioned above, the game have been censored. Some of these censorships are little ones, like dogs being replaced by rats, but there are big ones as well, like all Nazi symbolism being removed, Nazi Germany's refered to as the 'Master State' ect. Now you can add videos, screenshots, or other images (cover scans, disc scans, etc.) 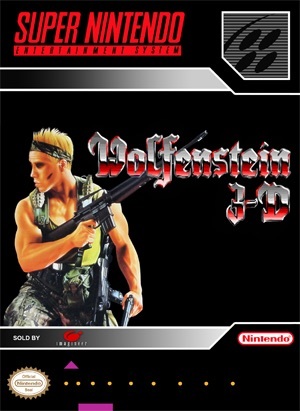 for Wolfenstein 3D (Europe) to Emuparadise. Do it now! If you haven't noticed yet, we have a retro game of the day feature (top-right of the screen) wherein we feature a new retro title every single day! Now, you can vote for your favorite games and allow them to have their moment of glory. 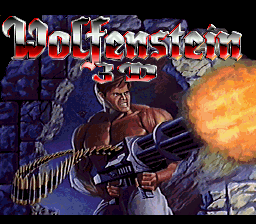 Click on the button below to nominate Wolfenstein 3D (Europe) for Retro Game of the Day.